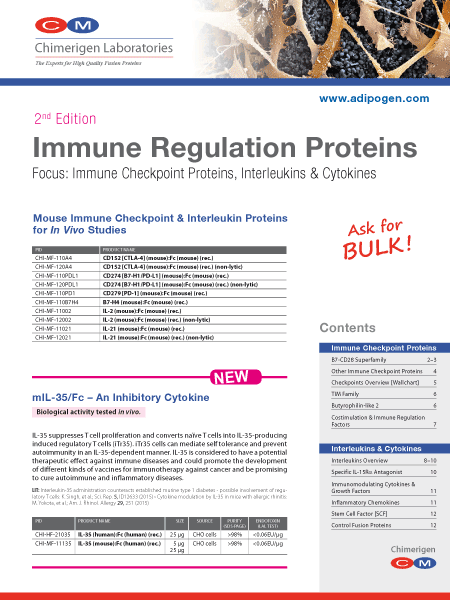 Chimerigen develops, manufactures and markets high quality and leading edge proteins for biomedical and immunology research with focus on Immune Checkpoint Proteins, Interleukins & Cytokines. Released June 2016. 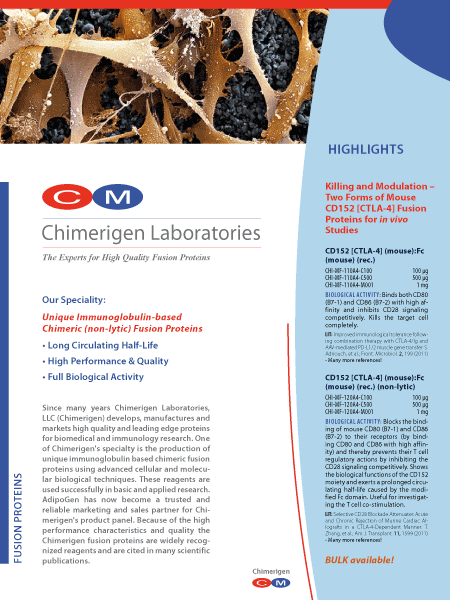 Chimerigen's specialty is the production of unique immunoglobulin based chimeric fusion proteins using advanced cellular and molecular biological techniques. Released April 2013. 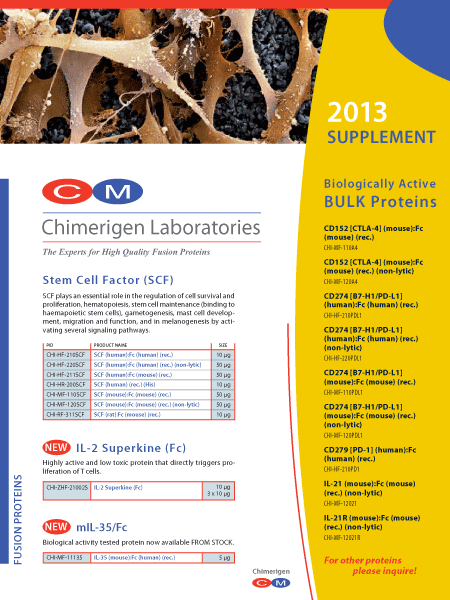 The Chimerigen fusion proteins are widely recognized reagents and are cited in many scientific publications. Released April 2012.